Earn $32.70 in Podium Club credit. Click to Learn More. 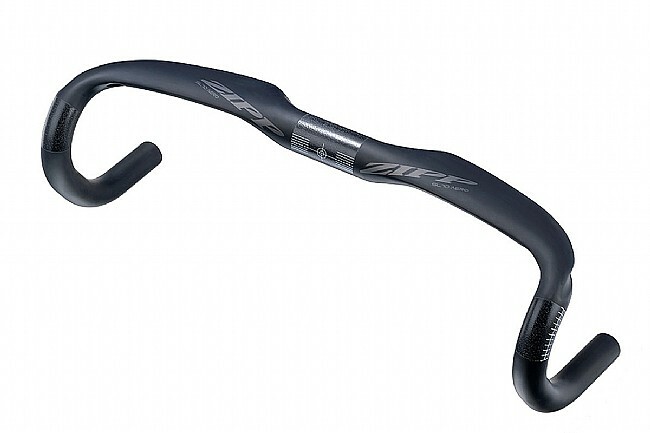 Slice through the wind on your way to victory with the Zipp SL-70 Aero Carbon Handlebar. Designed to provide the best-in-class in fit, ergonomics, and aerodynamics, these unidirectional carbon fiber handlebars are so lightweight you just might take flight. With a wing-shaped bar top, these handlebars are simultaneously more comfortable and more ergonomic on long climbs, and more aerodynamic than round-tube bars. With fit sensitivity in mind, these handlebars feature a 70mm reach to meet even the most demanding fits without compromising stem length or steering control. Featuring Zipp's Rapid Routing™ system, running brake and shift cables through your internal routed frame is a breeze. Featuring 128mm of drop and a revised 10º ramp angle, these handlebars provide a comfortable fit in all riding positions. have use a fsa wing compact on several bikes. just built up a CANYON AEROAD and felt an aero bar would be good. did not want a barstem combo do to my personal finickiness re set up. I opted for the Zipp SL-70 Aero Carbon Handlebar for it's aero design, weight, ergonomics and road abortion attributes. I am not disappointed with the bars. the geometry is almost identical to the fsa's I am used to which was a primary reason for my choice. these are the first carbon bars I have used to date. One Bar to rule it all! Awesome design! Very lightweight and strong. Excellent priced product. I love these aero handle bars. They are light and stiff. I feel faster when riding with them. I wanted aero bars for awhile, but held off because they're expensive and my regular bars were fine. I finally made the switch and I'm so glad I did. These bars (paired with Zipp stem) feel incredibly solid and are extremely comfortable. Really enjoying them. Wish I'd switched earlier. I love the shape of the bar because it provide many hand positions for long rides and is comfortable in all the hand positions chosen.